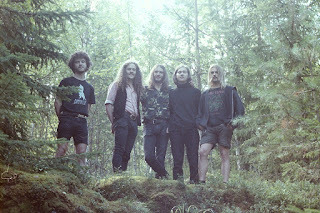 Psychedelic doom metal band DEMON HEAD has teamed up with New Noise Magazine to reveal their trippy new video for "Rivers Of Mars". The song is taken from their upcoming 7' "The Resistance" which will be released via The Sign Records in April. Check out the video here: http://newnoisemagazine.com/demon-head-rivers-mars-video/.